Fetty Wap has been on the rise in hip hop since releasing hit singles like Trap Queen, My Way, 679 and more. He's also on the rise in the sneaker culture as well, per Maxim. The rapper did an interview with the magazine, revealing that he buys a new pair of sneakers everyday, preferably Air Jordans. While the upstart still has a Paterson zip code, he has another place a few towns over, in Hackensack, that doubles as a gigantic walk-in closet. One room is entirely filled with Jordans— a fetish he adopted while selling mixtapes on street corners. Any extra income from those sales went straight to his sneaker habit. 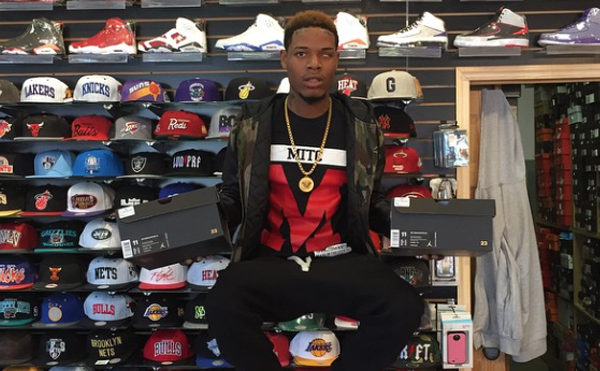 Do what you do, Fetty.